Disclosure: This post has been sponsored by Milk and Eggs but all thoughts and opinions are my own. I ended 2017 eating clean by making a vegetarian meal plan, and ordering locally sourced ingredients from Milk and Eggs! I’m continuing eating healthy, natural, and locally sourced ingredients in 2018 by ordering my groceries from Milk and Eggs grocery delivery serviced, based in Los Angeles and Orange County. One big reason I LOVE ordering from Milk & Eggs is because it helps save me a lot of time, without spending more than what I would at a regular grocery store. Before finding this farm-to-table grocery delivery service, I would spend hours having to make a meal plan, then most of the time go to at 3 or so farmers markets and grocery stores to find all of the organic, natural ingredients to make my plan a success. Since Milk & Eggs has such a wide variety to shop from on their site, I just have to take care of making a meal plan for myself and then find all my groceries to purchase from the comfort of my home, on just the one site, rather than shopping around multiple places. It also makes me feel great knowing that it supports local farmers and vendors, since their stock comes just from local sources. 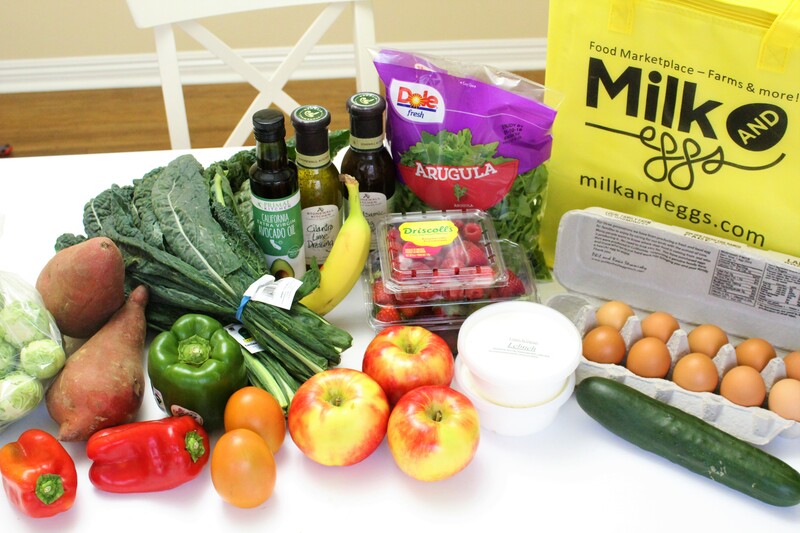 Another bonus I’ve found from getting my groceries from Milk & Eggs is since it is farm-to-table groceries, my items are always much more fresh than going to most grocery stores, which helps eliminate how much food has to be tossed from going bad. I always am able to get my favorite grocery item staples from Milk & Eggs, as well as get new inspiration by browsing around on their site for items I’ve never tried before. I particularly love their meal kits that come with recipe cards, which are also an incredible bang for your buck! To start saving time, without spending more on groceries, and to eat from local vendors, you can visit MilkandEggs.com!